3. Woo Jukang, Wu Xinzhi, Wang Cunyi(1959) New　reconstruction of physiognomy of Sinanthropus woman. PalAsiatica,3(3): 165-166. 8. Wu Xinzhi(1961) On the racial types of the Upper Cave Man of　Choukoudian. Scientia Sinica,10(8): 998-1005. 24. Wu Xinzhi(1981) A well preserved cranium of archaic type of　early Homo sapiens from Dali, China. Scientia Sinica,24(4):　530-543. 28. Wu Rukang, Wu Xinzhi(1982) Comparison of Tautavel Man　with Homo erectus and early Homo sapiens in China. In:　L’Homo Erectus et la Place de L’Homme de Tautavel Parmi les　Hominides Fossiles. 1er Congres International de Paleontologie　Humaine, Nice Prestige Vol.2.605-616. Nice: Louis-Jean. 34. Wu Rukang, Wu Xinzhi(1984) Hominid fossils from China and　their relation to those of neighboring regions. In: The Evolution　of the East Asian Environment (2). Whyte P. et al. eds. Hong　Kong: Centre of Asian Studies, University of Hong Kong.787-795. 35. Wolpoff MH, Wu XZ,Thorne AG(1984)Modern Homo sapiens　origins: a general theory of hominid evolution involving the　fossil evidence from East Asia. In: Smith F.H., and Spencer F.,　eds. The Origin of Modern Humans: A World Survey of the　Fossil Evidence. New York: Liss.411-483. 36. Wu Xinzhi, Wang Linghong(1985) Chronology in Chinese　Palaeoanthropology. In: Palaeoanthropology and Palaeolithic　Archaeology in the People’s Republic of China. Wu Rukang and　Olsen JW eds. Orlando:Academic Press, Inc.29-51. 37. Wu Xinzhi, Wu Maolin(1985) Early Homo sapiens in China. Ibid:91-106. 38. Wu Xinzhi, Zhang Zhenbiao(1985) Homo sapiens remains from Late Palaeolithic and Neolithic in China. Ibid:107-133. 42. Wu Xinzhi(1986) Upper Palaeolithic man in China and his relation with populations of neighboring areas. In: The　Pleistocene Perspective. Vol.1 Department of Archaeology,　University of Southampton ed. Southampton: Allen and Unwin. 51. 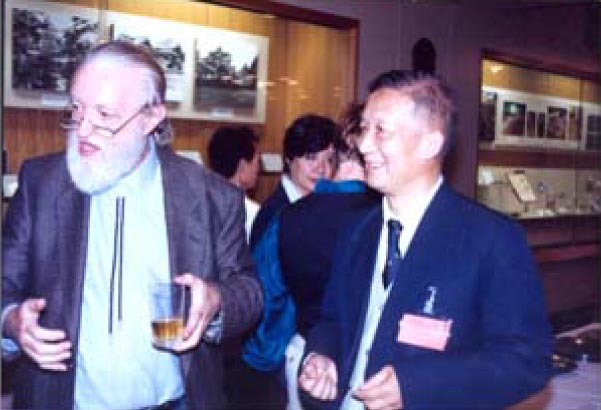 Wu Xinzhi(1988) China report-Palaeoanthropology. In: Whyte P. et al. eds. The Palaeoenvironment of East Asia from Mid-Tertiary, Proceedings of the Second Conference. Vol.2. Hong Kong University of Hong Kong.971-980. 52. Wu Xinzhi(1988) Human migration in East Asia and Australia　during the Late Pleistocene. In: Whyte P et al. eds. The　Palaeoenvironment of East Asia from Mid-Tertiary, Proceedings　of the Second Conference. Vol.2. Hong Kong: University of　Hong Kong.1069-1075. 59. Wu Xinzhi(1991) Human evolution and dispersal in East Asia. In: Institute of Vertebrate Paleontology and Paleoanthropology　ed. Contributions to the XIII INQUA. Beijing: Beijing　Publishing House of Science,15-20. 61. Wu Xinzhi(1991) Fossil humankind of China. 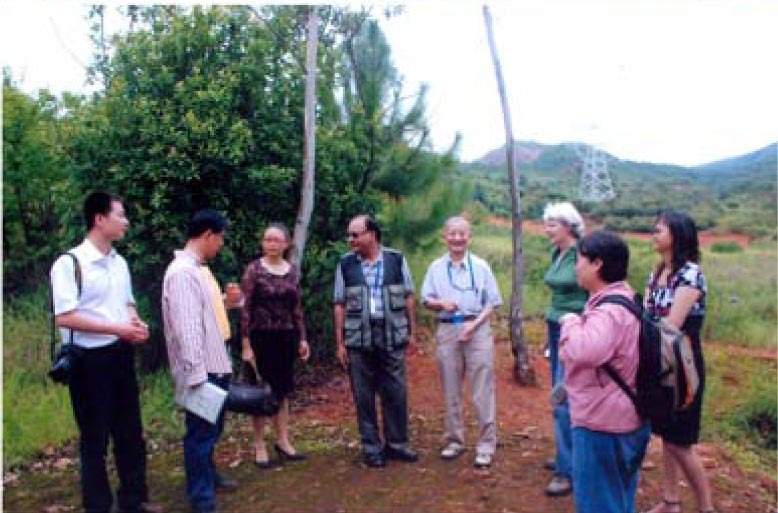 In: Quarternary Geology and Environment in China. Liu TS ed. Beijing: Science　Press.129-135. 62. Wu Xinzhi(1991) Continuité évolutive des hommes fossiles　Chinois. In: Hublin J.J. et Tillier M.A. eds. Aux Origins d’Homo　sapiens. Paris: Presses Universitaires de France.157-159. 64. Wu Xinzhi(1992) Origins and affinities of the stone age　inhabitants of Japan. In: Japanese As a Member of the Asian and　Pacific Populations, International Symposium 4. Kyoto:　International Research Center for Japanese Studies.1-8. 67. Wu Xinzhi(1992) Origin of Homo sapiens in China. In: Korea　Anthropology Institute et al. eds. Korea-China Quarternary　Prehistory Symposium. Seoul.106-111. 68. Wu Xinzhi(1992) The origin and dispersal of anatomically　modern humans in East Asia and Southeast Asia. In: The　Evolution and Dispersal of Modern Humans in Asia. Akazawa T.,　Aoki K. and Kimura T. eds. Tokyo: Kokusen-sha.373-378. 69. Wu Xinzhi, Br.uer G(1993) Morphological comparison of　archaic Homo sapiens crania from China and Africa. Zeitschrift　für Morphologie und Anthropologie,79(3): 241-259. 73. Wu Xinzhi(1994) Pleistocene peoples of China and the　peopling of the Americans In: Bonnichsen R. and Steele D.C.　eds. Methods and Theory for Investigating the Peopling of the　Americans. Oregon: Center for the Study of the First Americans,　Oregon State University, Corvallis.73-78. 74. Wu Xinzhi(1995) The continuity of human evolution in East　Asia. In: Brenner S. and Hanihara K. eds. The Origin and Past of　Modern Humans As Viewed from DNA. Singapore: World　Scientific Publishing Co,267-282. 75. Wu Xinzhi(1995) Morphological comparison between human　skulls of middle Pleistocene from China and Europe. In:　Bermudez et al. eds. Evolucion Humana En Europay Los　Yacimientos De La Sierra De Atapuerca. Vol.1. Junta de Castilay　Leon Consejeria de Culturay Turismo.243-248. 76. 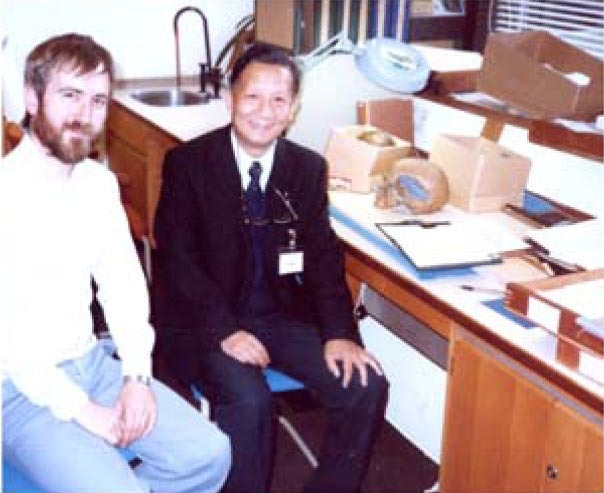 Wu Xinzhi, Poirier FE(1995)Human Evolution in China A　Morphometric Description of Fossils and a Review of Sites. New York: Oxford University Press,1-317. 78. Wu Xinzhi(1996) The mosaic evolution of humankind in China. In: Bulletin of the Indo-Pacific Prehistory Association 15,　Indo-Pacific Prehistory, The Chiang Mai Papers Vol.2. Glover　I.C. and Bellwood P. eds.225-228. 79. Wu Rukang, Wu Xinzhi(1996) China, Hominid An Up-date. Orban R and Roels D. eds. Bruxelle: Lab. Anthropology and　Human Genetics, Universite Libre Bruxelles.1-105. 81. Wu Xinzhi(1997) On the descent of modern humans in East　Asia. In: Conceptual Issues in Modern Human Origin Research. Clarke G.A. and Willermet C.M. eds. New York: Aldine de　Gruyter.283-293. 82. Wu Rukang, Wu Xinzhi(1997) China. In: History of Physical　Anthropology An Encyclopedia. Vol.1 Spencer F. ed. New York:　Garland Publishing, Inc.273-282. 87. Grün R, Huang PH, Wu X, Stringer CB, Thorne AG,　McCulloch M(1998) ESR analysis of teeth from　paleoanthropological site of Zhoukoudian, China. Journal of　Human Evolution.32(1): 83-91. 88. 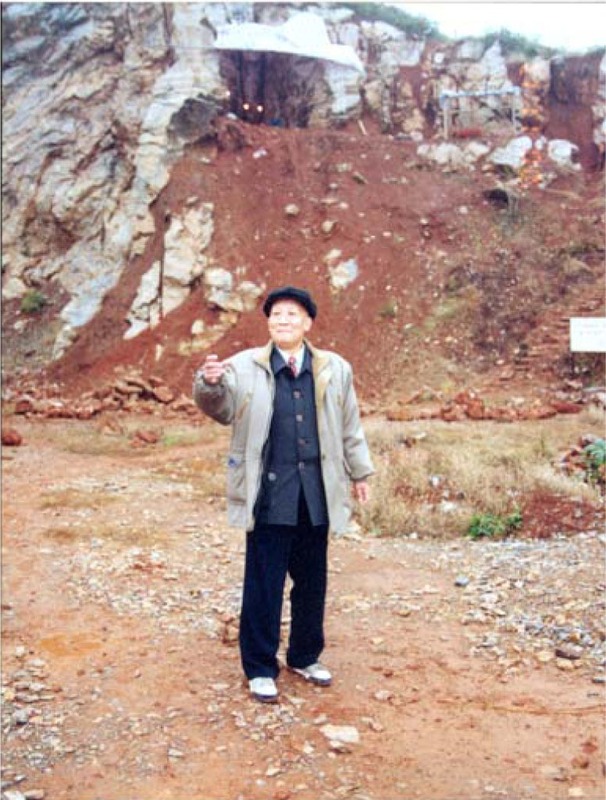 Wu Xinzhi(1999) Investigating the possible use of fire at　Zhoukoudian, China. Science,283: 299. 93. Wu Xinzhi(2002) Longgupo mandible belongs to ape. Acta　Anthropologica Sinica 21(Supplement):19-24. 104.尚虹,吴新智,张振标,席焕久(2002)人类头骨——南京直立人1 号头骨古病理学的初步探讨(第二章,第二节).见:吴汝康等主编. 南京直立人. 南京: 江苏科学技术出版社,68-70,274-275. 107.Wu Xinzhi(2004) On the origin of modern humans in China. Quaternary International,117: 131-140. 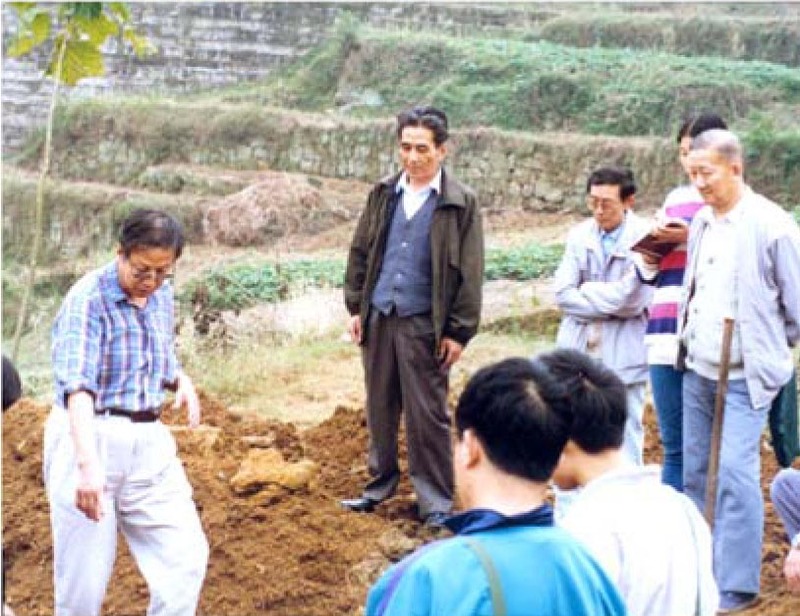 111.Wu Xinzhi(2005) The role played by archaeology in the construction of China. Centre for Archaeological Research　Malaysia, Malaysia Science University. 112.Wu Xinzhi(2005) Palaeoanthropological and molecular studies　on the origin of modern humans. Transactions of the Royal　Society of South Africa.60(2): 115-119. 124.Wu Xinzhi, Cui Yaming(2010) On the origin of modern　humans in China. Before Farming(online), 2010(4) article,6:　1-6. 125.Liu W, Jin CZ, Zhang YQ, Cai YJ, Xing S, Wu XJ, Cheng H,　Edwards RL, Pan WS, Qin DG, An ZS, Trinkaus E, Wu　XZ(2010) Human remains from Zhirendong, South China, and　modern human emergence in East Asia. Proceedings of the　National Academy of Sciences,107(45): 19201-19206. 126.Zhao LingXia, Zhang LiZhao, Zhang FuSong, Wu　XinZhi(2011) Enamel carbon isotope evidence of diet and habit　of Gigantopithecus blacki and associated mammalian　megafauna in the Early Pleistocene of South China. Chinese　Science Bulletin,56(33): 3590-3595. 128. 吴新智(2012)Human evolution in China Viewed from　multidisciplinary records. 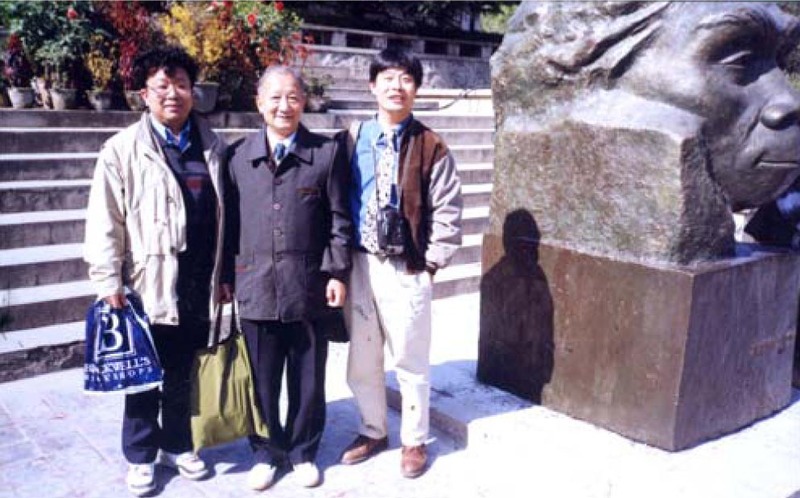 In Peter Nas, Hao Shiyuan and Zhang　Xiaomin eds. Keynotes in Anthropology.国际人类学与民族学联合会第十六届大会主旨发言.名家讲座.北京:知识产权出版社,13-21. 130.Wu Xinzhi, Athreya Sheela(2013) A Description of the　Geological Context, Discrete Traits, and Linear Morphometrics of the Middle Pleistocene Hominin from Dali, Shaanxi Province,　China. American Journal of Physical Anthropology,150:141–157. 131.Rosenberg KR, Wu Xinzhi(2013) A River Runs through It:　Modern Human Origins in East Asia. The Origins of Modern　Humans: Biology Reconsidered, Chapter 3, Edited by Fred H.　Smith and James C. M. Ahern.89-122. 132.Wu Xinzhi and Xu Xin(2013). Human Origins in China. Oxford Bibliographies. 133.吴新智(2014). 第三编第四章人类化石. 王益人编. 丁村旧石器时代遗址群——丁村遗址群1976-1980年发掘报告. 北京：科学出版社, 49-53. 135.吴新智(2014). 大荔颅骨在人类进化中的位置. 人类学学报, 2014, 33(4): 405-426. 136.Maohua Zhong, Congling Shi, Xing Gao, Xinzhi Wu, Fuyou Chen, Shuangquan Zhang, Xingkai Zhang, John W. Olsen(2014). On the possible use of fire by Homo erectus at Zhoukoudian, China. Chinese Science Bulletin, 2014, 59(3): 335-343. 137.吴新智(2015). 人类进化过程阶段划分新见解. 化石, (1): 41-42. 138.吴新智, 同号文(2015). 关于澎湖1号下颌骨化石意义和年代的讨论. 人类学学报, 34(3): 1-7. 140.吴新智(2015). 寻找现代人的祖先. 百科知识, 12B: 4-10. 141.Yaming Cui, Xinzhi Wu(2015). A geometric, morphometric study of a Middle Pleistocene cranium from Hexian, China. Journal of Human Evolution, 88: 54-69.